The USPS only has a handful of holiday stamp choices, but with custom postage stamps you can get the perfect postage stamp for your holiday mailings. You’ve spent a lot of time and money on perfecting your Christmas card so finish it off with a custom stamp on the outside of your envelope! 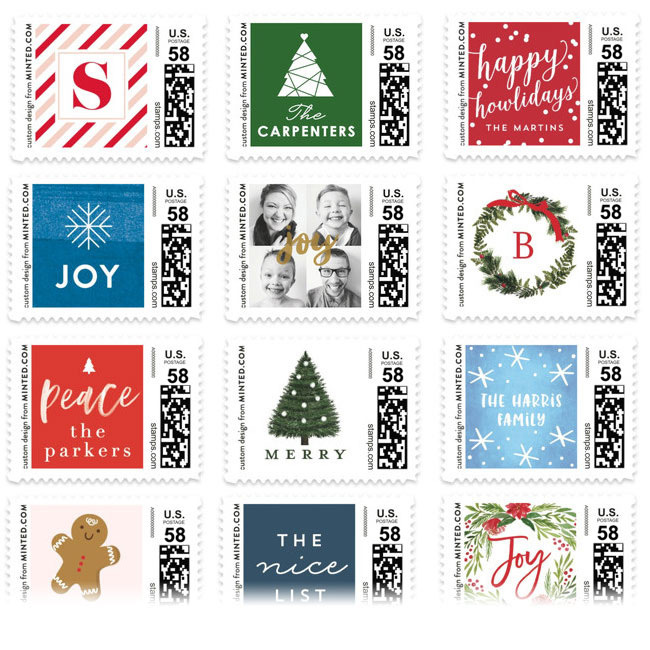 Minted offers over 3,000 different holiday-themed stamps (the largest selection anywhere) with a variety holiday themes such as Christmas trees, snowflakes, Santa and more. Talented, independent artists have created beautiful designs that you can personalize with your own text, initials, and font. Now you can completely personalize your Christmas mailings with monogram postage, a stamp with your last name, or even upload a photo of your family to create a truly personalized postage stamp. 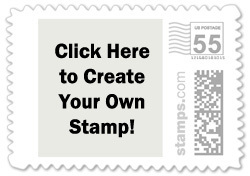 These custom stamps are valid postage approved by the USPS and printed by 3rd parties like Minted, Zazzle, and Shutterfly. You pay a small premium (above the face-value of the postage) in exchange for personalized, unique stamps that can coordinate with the style of your holiday card. They are the perfect way to send your season’s greetings in style to your family and friends. Ensure your holiday card stands out from the 3 billion pieces of holiday mail with custom postage! a purchase from 3rd-party links.